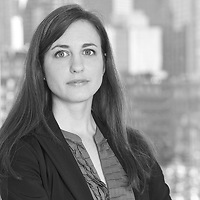 Heather B. Repicky, a member of Nutter’s Litigation Department, published “When is Hacking a Crime? Potential Revisions to the CFAA” in The Boston Bar Journal’s “Viewpoint” section on July 9. The article discusses the Computer Fraud and Abuse Act (CFAA), which has drawn criticism from legal commentators and lawmakers in the wake of the much-publicized federal criminal prosecution and suicide of Aaron Swartz. A proposed statute “Aaron’s Law” was introduced in 2011 in the wake of the Swartz case by Congresswoman Zoe Lofgren, to prevent arguably disproportionate penalties for certain CFAA violations. However, the proposed statute would also seeming insulate “authorized users” of computers from prosecution, regardless of the nature of their conduct or the harm it causes. Heather notes that while the CFAA is in need of revision, Congress should not seek to fix the CFAA by opening unnecessary gaps in the statute. Instead, a more careful revision would ensure that violations of, for example, terms of service agreements would not trigger criminal liability for users, while also giving law enforcement means to punish malicious, damaging conduct by even “authorized” computer users.